"We've already been teased by a LePhone S2 moonlighting as a Windows Phone last month, but it was only yesterday that Lenovo confirmed an upcoming product featuring said OS." A few weeks ago, a couple pictures of Lenovo's prototype Windows Phone devices were spotted floating around the internet. 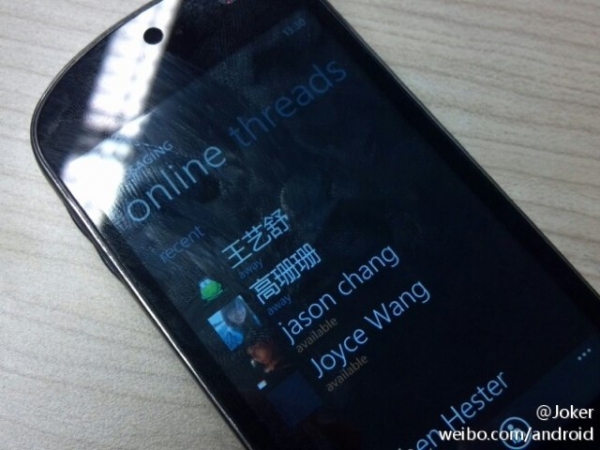 Now, product manager Chen Yue has told iMobile that Lenovo's will be releasing a Windows Phone device in the second half of 2012. No other details were given but that's not surprising considering the release window of second half 2012.